In past months we have looked at hypnosis and NLP and how they can help people make changes in their lives at the subconscious level. Once the change is accepted by the subconscious mind unconscious behavioral changes are the result. We & rsquove talked about the three most common reasons a person comes to see a hypnotist, to stop smoking to lose weight and to reduce the stress in their lives. There are hundreds if not thousands of other potential uses of hypnosis from pain management to improving focus, from improving your communication to the elimination of specific fears. On the edge there are other uses for hypnosis. Uses such as entertainment and past life regression. As New Age thinking and beliefs become more accepted, the edge is beginning to become mainstream. 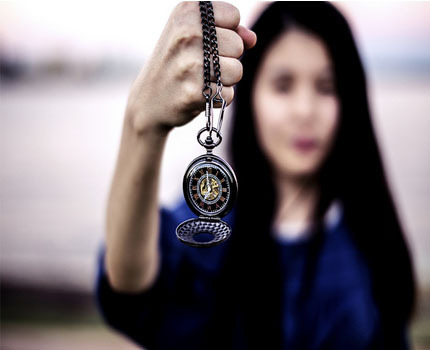 More and more people are looking to hypnosis as a way to learn about themselves. For some this means taking a trip into deep hypnosis, where the veil that separates the conscious and subconscious mind is lifted. There is also the ability to take a trip into a past life. I may have lost some of you already, but for those that have stayed this far let me say that whether you believe in reincarnation or the existence of a soul or not, you can benefit from this type of exploration. Let me explain. There are those that fully believe that the soul is eternal and can choose to experience life as a human being. While typically the past is hidden from the current incarnation there may be instances such as going somewhere for the first time and feeling as if you belong there, or meeting someone new and within minutes having the feeling that you have known them for your entire life, where the veil is at least partially lifted and an experience triggers a thought or a “memory”. Others believe the experience is entirely in the imagination. That somehow a person is simply creating the experience of a past life. We could debate forever and still never reach agreement on this point however it really doesn’t matter. Those that experience past life regression while in hypnosis tend to learn more about themselves and why they behave the way they do. Whether they believe that they do something in a certain way because it was how they did it in a past life, or their imagination creates a past life experience as a metaphor to explain the behavior, a deeper understanding is reached. More and more books are written about past life experiences of those that have taken the journey. I have yet to read about or work with anyone that claims that they were a historical figure in a previous life. (Sorry to disappoint you)!) It’s certainly possible however the chances are slim. I have worked with people that have experienced hard lives and joyous lives, lives full of love and others filled with loneliness. Lives they have shared with others that are also in their current life perhaps in a different capacity. Like the child that says to her mommy, “do you remember when I was the mommy?” It is a very common occurrence that the life that is experienced has some relationship or meaning for the current life. Once again the subconscious mind can either be directing you toward a past life that has meaning for you now, or is coming up with a story much like a dream to give the explanation you seek or what you need to live a more fulfilling life. One example, through actual experience was the 35-year-old client that had recently lost her husband. In the past life experience in which she was a man her best friend was the same “soul” that in this life was her recently departed husband. The experience was felt strongly enough to bring her to tears. Since a person in hypnosis can easily communicate with others I asked her what was going on and if she would like me to help her distance herself from the experience and the emotional content. She told me to not be concerned and asked for time to be alone with the experience. When asked later about the experience and the strong emotions that were evident, she smiled and told me that the tears were tears of joy. She told me that it was at that moment that she realized that she would see her husband again. Just knowing this gave her great comfort and helped in her grieving process. Although many have had intense experiences right away it is as likely that it feels like a dream. Like a dream the meaning may not become evident right away. Others may feel as if something happened but may have a hard time recalling the experience. Sometime after the session they may experience an event that triggers the memory and the meaning of the past life. 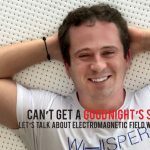 As stated above, this can happen spontaneously for some although hypnosis for most people will help immensely to lift the veil between the conscious and subconscious mind. Past life regressions can be experienced individually or in a group. Whether the content is shared with others or is too personal to share in that setting it is fun to share the hypnosis experience itself. Are you and your friends into trying something new? Call me to host a regression get-together for your friends.